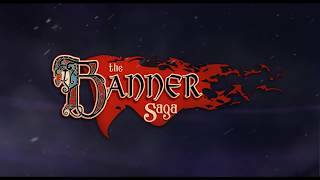 //Powerhouse Animation was very excited when we became part of the team to bring Stoic Studios' beautiful game, The Banner Saga, to life. 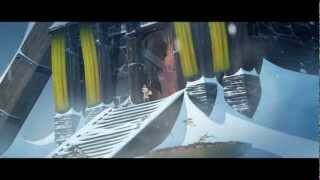 Powerhouse Animation has helped in the creation of traditional animation based game cinematics, animated game assets created using Flash animation, and also created some parallax illustrations that help tell parts of the storyline. Kotaku called The Banner Saga “One of the Most Beautiful Games I’ve Ever Seen,” and Powerhouse is thrilled to be a part of the art team that has inspired such praise. 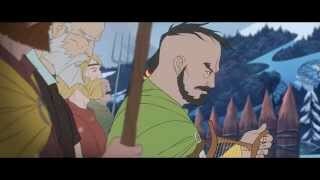 The Banner Saga is a game created by Stoic Studio in Austin, Texas. Stoic was founded by three ex-Bioware employees and funded The Banner Saga through a Kickstarter campaign. In a great success story, the crowd funded game broke its funding goal of $100,000 in two days and ended up generating over $700,000 in funding. The game’s visual style is influenced by Eyvind Earle’s art for Sleeping Beauty.